ROCCAT produce an extensive range of gaming peripherals - and we should know, we've reviewed quite a few of them - but one lineup that is perhaps under-served by the German manufacturer is accessories. 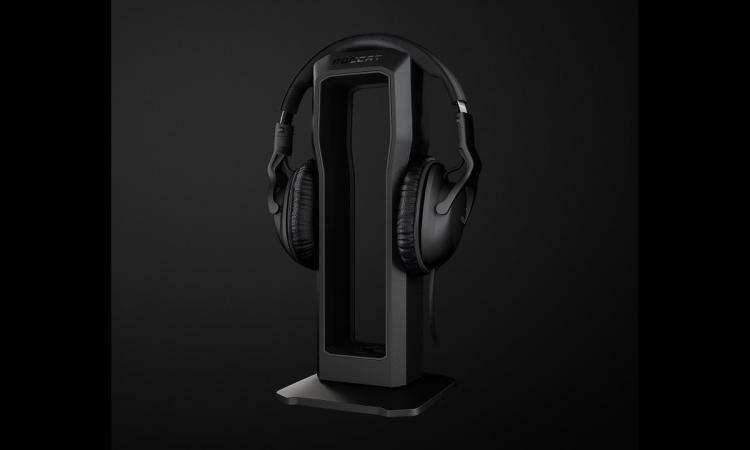 Peripheral manufacturers typically branch out by creating a selection of additional products that are meant to complement their existing range (while reinforcing both branding and aesthetic design); ROCCAT however have tended to be a little tentative in their explorations into this field. Nonetheless everyone needs to break out of their comfort zone at some point. Today ROCCAT unveiled a new range of 'unplugged' core accessories, a range that starts with the return of a previous favourite, the Apuri mouse bungee. Now available as the Apuri Raw, it's a straightforward design that ensures your mouse cable remains unsnagged and doesn't drift across your desk. The Apuri Raw has an MSRP of £17.99. Next up comes the Modulok, a universal design headset stand. A wide base gives the Modulok stability despite the wide variation in headset sizes available in the market today, and with 70 different headsets tested to be compatible it should prove to be of value whatever model you're using. The Modulok is priced at £24.99. Finally, there is the Tusko. 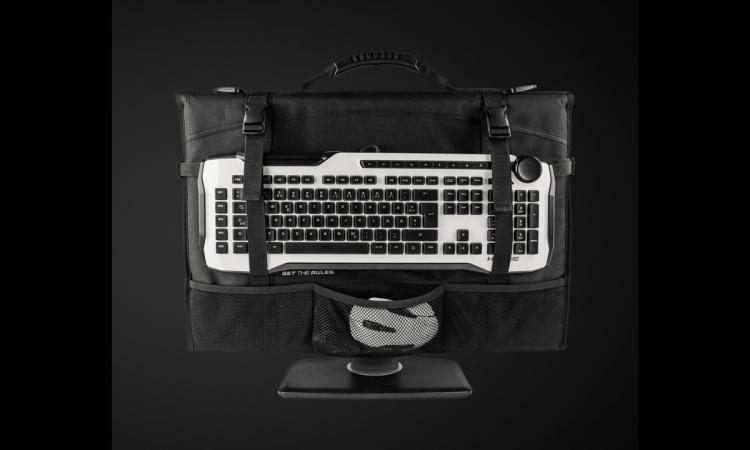 A curious beast, the Tusko is intended as an aid for LAN events, letting you bundle both widescreen monitor and keyboard together in one easy to carry package to help you transport these normally bulky items. A rigid plastic sheet protects the monitor screen, while a pair of straps hold the keyboard in place. Mesh compartments in the front and back can hold additional cables, mice and more as required. Even after the release of the range there's plenty of scope for ROCCAT to develop their accessory lineup in the future. Lighting for instance, especially RGB lighting, would clearly be a prime feature to exploit given their already solid software utility. Hopefully we'll see more from them soon.